Now where have we seen this before…hmmmmmm. All of the established luxury brands have been scurrying to enter the luxury but compact SUV market so the hordes of suburban soccer mums and shoppers will have the newest and snazziest elevated wheels, in which to pretend that they could go off-road should they wish. We wrote about the Jaguar E-Pace just this week and how that particular offering is about as British as…well, something that is not British at all. Now we hear from the good folks over in Sweden that they have yet another SUV in the works that will be competing with the Jaguar E-Pace come this autumn. 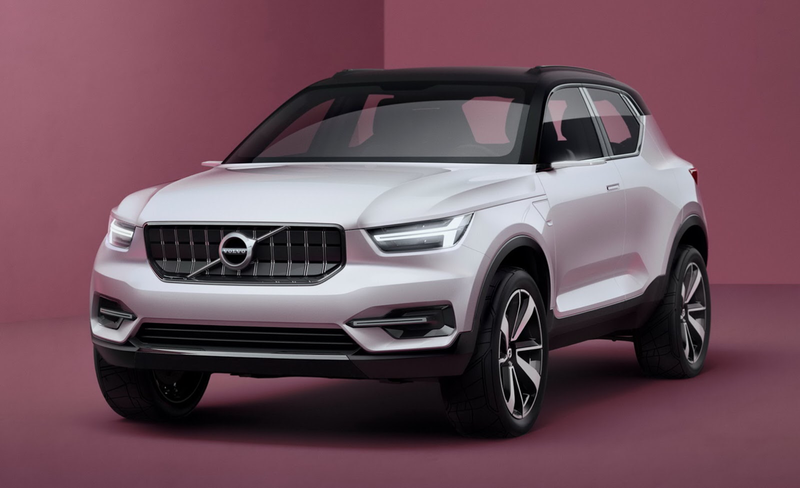 It was about a year ago that Volvo teased us with the Concept 40.1 and now, that previous glimpse of the design ideas from those boxy-but-good boys in Gothenburg do seem to have made it into fruition, and our senses are somewhat pleased by the press photos released by the PR department. Apparently there will be interior colours that will include Lava Orange or Oxide Red; unfortunately, they forgot to let us know about the finalised drivetrain. But we think it safe to assume that we will see nothing new in this department, although Volvo has already announced that as of 2019, ALL of its vehicles will incorporate an electric motor. Can’t help feeling though that we have seen this design before…oh, that’s right, wasn’t it over at Lynk & Co., that other brand owned by Geely? Is it really UNMANLY for a guy to drive the Mini Cooper?